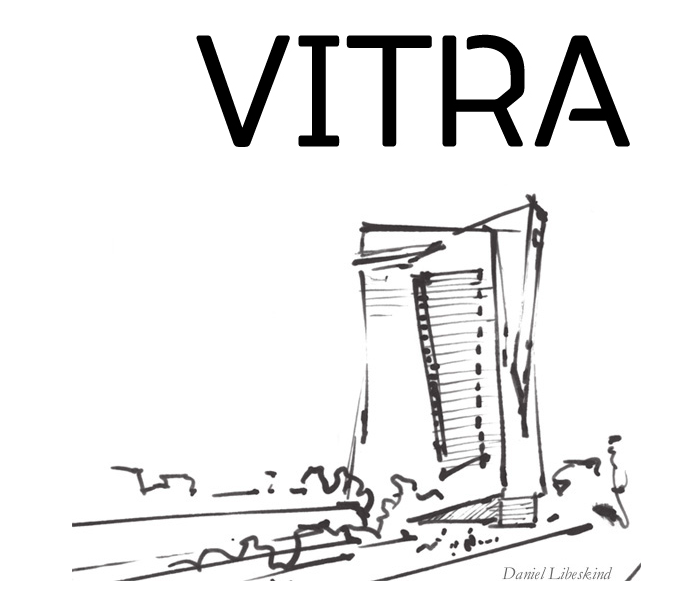 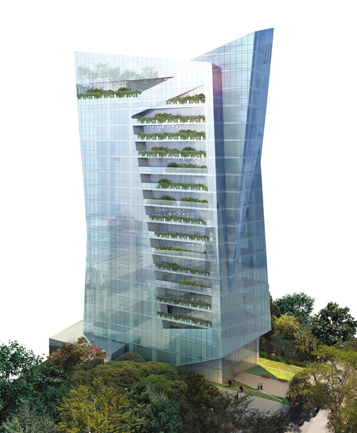 Daniel Libeskind, famous for his original blueprint of the Ground Zero master plan and large scale museum undertakings such as the Jewish Museum in Berlin, recently launched his design for Vitra: a high-end residential building in Sao Paolo for JHSF, a real estate mogul in Brazil. 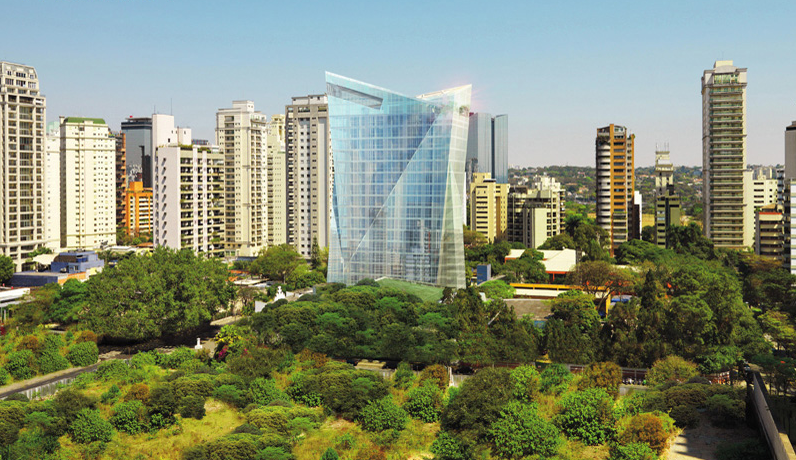 As the fastest growing economy in South America, here's what Libeskind had to say about his experience with this project: "It represents the unfolding dynamism of a unique place and an energetic population full of optimism and potential, gesturing openly to wide panorama of Sao Paolo and the Itaim neighborhood. 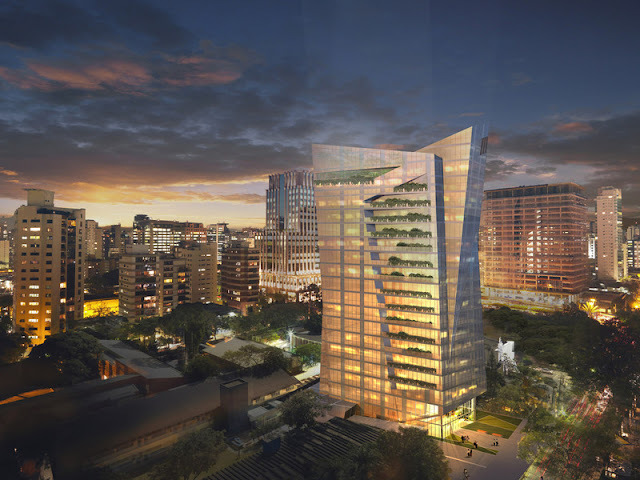 The building will consist of just 14 apartments in total--encompassing one for each floor--except for two penthouses, which will take up two whole floors. Libeskind strives to capture the hustle and bustle of the congested city, while incorporating the Amazonian identity of the country--housing the largest rain-forest in the world: "Vitra creates a new icon for Sao Paolo," according to the Polish American architect, "it's a celebration of an open culture with energy and life of an evolving city and region; it's inspired by the dramatic beauty in the powerful natural resources of Brazil." Vitra will begin construction by the summer of next year for a 2013 projected execution.